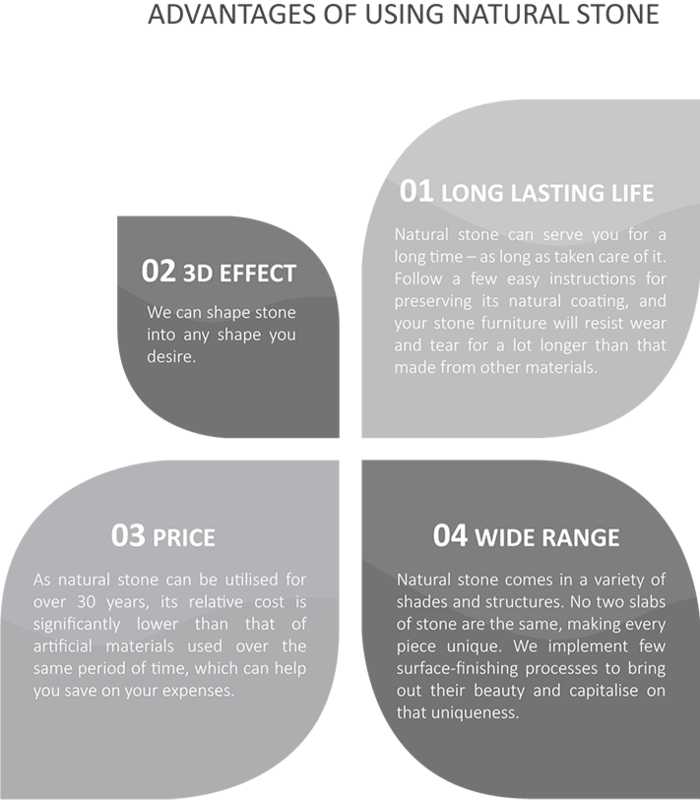 Stone&Building Ltd is a company present in Great Britain since 2005, but with much longer experience in manufacturing a wide variety of stone elements used indoors and outdoors. The whole process begins with consultation. We guarantee professional help based on many years’ experience. 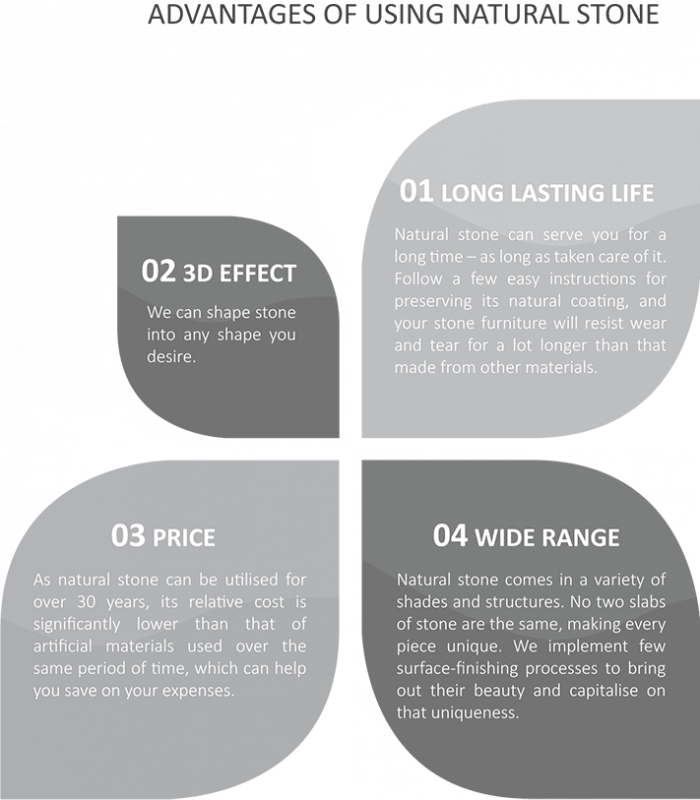 One of our experts will listen to your expectations, advice the best option, will also help to choose the best stone to achieve a dream result for your project. A template is an exact copy of the worktop you will receive. By making templates we are absolutely sure that your worktop will fit and at the same time it helps us to make sure we can deliver to your expectation. Templating is also time to discuss and agree all details of your worktop.Our team is equipped with professional tools to make the template fast, precisely and without any mistakes. Once we have templated your worktops, the next stage in their journey to become worktops is fabrication in our factory. Our fabricators will trace the template shape and cut it out from the slab. Once all elements are cut our fabricators polish the edges of every stone piece they work with. Those pieces could be anything from natural stone slabs to engineered stone like Silestone. We use a large saw and a handheld edge polisher to accomplish their task. Our installation team has passed demanding courses to ensure that every one of our representatives who installs your worktops is trained to the very highest standards. Our installation engineers will install the granite worktop to perfection, ensuring that all your kitchen units and plugs are not affected. Worktop installation usually takes 3-5 working days after templating. As one of UK’s top specialist in stone and solid surface worktops, we aim to provide a full template, supply and installation of our service. This very hard rock has crystalline, metamorphic or igneous structure. It is mainly created from quartz, feldspars and in much smaller amounts from various other minerals. Metamorphic rock created mainly from limestone. It is composed in the most part from dolomite crystals and calcite and can be highly polished, which is the reason of its large popularity as a decorative material. Remarkably tough, resistant to scratch, water, stains as well as extremely high temperature (up to 295 degrees Fahrenheit) composite stones are perfect for use in various conditions.